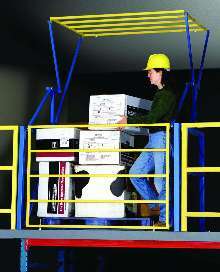 Safety Gate provides access to work and storage areas. 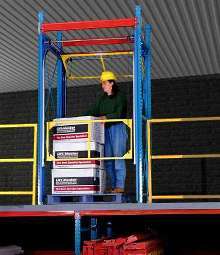 Safety Gate encloses pallet-drop ledges. Emergency Response Grille provides safety in public buildings. 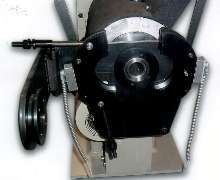 Safety Gates are available with Chain and Sprocket design. 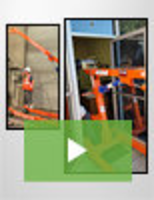 Side Lift Gate incorporates smart technology. Gate allows safe passage through guard-rail runs. Spring-loaded WilgardÃ‚® Pedestrian Pass-Thru Gate permits pedestrians to be channeled to specific location. It is self-closing, eliminating accidental potential of impact with open gate in high traffic areas. 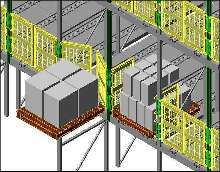 Safety-yellow gate is dimensioned to fit within 4 ft section and can replace section of double and triple rail without modification to existing columns. Swing Gates are for picking bay safety.